A Funeral service helps to acknowledge someone we have loved or known and provides an opportunity to remember the life of the person who has died. At Sandy Close Funeral Services we keep this in mind when assisting you to create a funeral which both honours and respects your loved one, either plain and simple or as elaborate as you wish. 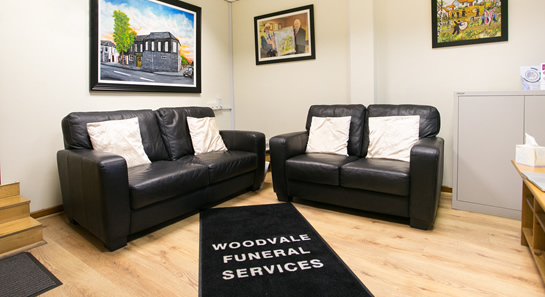 When arranging a funeral you will have to decide on burial or cremation and whether to have a traditional funeral with the coffin resting at home, or in one of our private rest rooms at our funeral home. What ever option you choose it will still allow family and friends to pay their last respects and say that last goodbye. Some families may also choose to have a private funeral for themselves and close friends. Whatever your wishes, the funeral will be tailored and arranged to suit. Sandy Close Funeral Services will assist you in every step of the funeral arrangements, we will liaise with all official departments / councils and clergy and take care of legalities (within our control), we will prepare newspaper notices and ensure that they appear in the press on the days instructed and are uploaded onto our funeral times page. We can design and print high quality orders of service and floral tributes will be handled, as will donations in lieu and any disbursements / payments on your behalf, should you require this arrangement. If you choose burial and there is an existing grave we are required by the local councils to produce the existing grave lease and any relevant documentation along with a fee to re open the grave. We can arrange payment on your behalf. If a new grave needs to be purchased we can arrange that for you also, we must obtain the name and address of the owner along with any relevant documentation required by council along with the fee for purchase and first opening. Cremation fees will be paid on your behalf to Belfast City Council. The cost will depend on whether the deceased was a Belfast resident or not. The funeral director will also take care of the doctor’s fees for signing the cremation papers. There are also two other forms regarding cremation which will need to be completed by the family with the funeral directors assistance.